Tudia Arch Ultra Slim Case Frosted White OnePlus 3 is a TPU case that the OnePlus 3 well protected on all sides, with a raised edge is even partially protected your display. This Tudia Arch Case Frosted White OnePlus 3 TPU Flexi Skin will protect your OnePlus against scratches and scuffs, the case will ensure that it stays like new. The Tudia Arch Ultra Slim Frosted White OnePlus 3 is made of durable TPU with a matte finish that gives the hand a good feeling and grip. There are also cutouts for ports and buttons are all easily accessible. In contrast to the other colors of the Tudia Arch Cases for the OnePlus 3, this light transparent so you can see the characteristics of the OnePlus 3 through the case. Frosted hence the name. The raised edge of the case can now your OnePlus 3 just lay flat on the table without it will cause damage. In addition, the case precision with cutouts for ports and buttons on the right of the OnePlus 3 are also protected through the case. The Tudia Arch UltraSlim case is available in 4 different colors. This variant Frosted White, black, blue and gray. 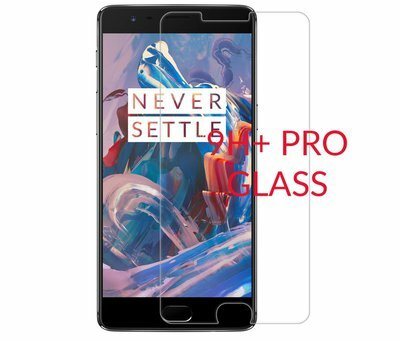 100% protection, we recommend using a beam below with a glass screen protector. This protects your display from the OnePlus 3 from scratches and cracks in a fall.